Being a vegan is not a choice, it’s a lifestyle and if you want to surprise your vegan friend or family member, the best way to do so is by getting them a product that can really improve their life. Whether we talk about foods, beverages, cooking equipment or even books, there are countless possibilities that you can choose from. We have selected a few of the bestselling options, all that is left to you is choose the one you think would be ideal for your loved one. A blender is an essential appliance for any vegan and the Vitamix 7500 is one of the best option available today on the market. The variable speed control will allow you to prepare smooth purees or thick vegetable soups. The highly customizable controls will ensure that you are always in control. 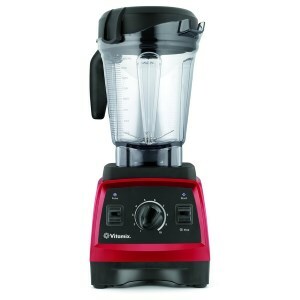 What makes the Vitamix 7500 a one of a kind blender is the fact that you can prepare hot soups without a stove. The friction from the blades will allow you to bring the soup to serving temperature in under 10 minutes right in the container. 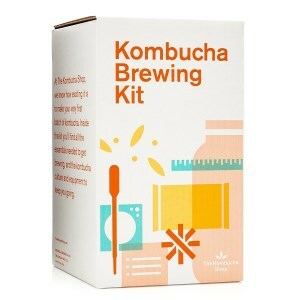 If you love kombucha or want to gift it to a friend that loves this delicious drink, the kombucha Brewing Kit contains all the supplies you need to start brewing your own Kombucha in the comfort of your home. No need to worry that the process is complicated or hard to grasp since the kit also includes a detailed step by step guide that will make brewing for the first time an effortless process. Customers love this option due to how easy it is to brew and the fact that it saves them a lot of money since they no longer have to buy expensive bottles of kombucha from the store. 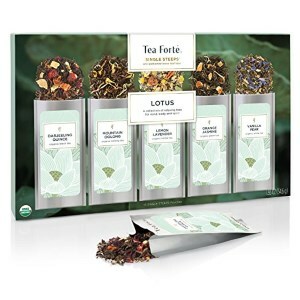 This organic tea package features five varieties of curated tea blends: Darjeeling Quince, Lemon Lavender, Vanilla Pear, Orange Jasmine, and Mountain Oolong. It is safe to say that with so much variety to choose from, you will never get tired of drinking this delicious and aromatic tea. The Tea Forté Singe Steeps is not just delicious; it also has relaxing qualities for the mind, body, and spirit. You are guaranteed only the best quality since each tea leaf has been carefully selected. Preparing the perfect cup of tea is easier than ever since all you’ll have to do is empty the contents into a teapot or just infuse the basket in hot water. Vitamin B12 is essential in every vegan diet that lacks the necessary sources of B12 fortified foods. 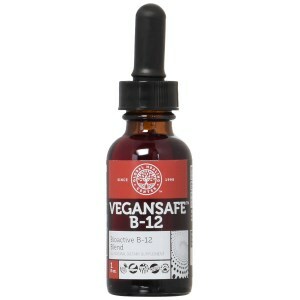 The Global Healing VeganSafe B-12 seeks to give customers a high-quality source of B12 in an easy-to-use format that will help you get the right dosage. What’s great about this option is that unlike sublingual tablets or other liquids that contain Xylitol, Sorbitol, and other artificial sugars, the Global Healing VeganSafe B-12 is as pure as it gets. This means that it will not cause you any digestive distress or any other problem, this is truly the safest source of B12 vitamin for you. If you’re looking for a jar to store your salad, the Aladdin Classic is a must-have product for any salad lover. This model features a leak-proof lid that will make sure that your dressing will not spill when carrying it in your bag or car. You also get a 4oz dressing container built-in inside the lid so that you can prepare your salad on the go. With a construction made of Eastman Tritan™ you will never have to worry that your jar will break since this option is built to handle a beating. It also manages to retain a lightweight design that will make carrying the container a breeze, even when full. If you’re looking for a way to slice your vegetable in new and ingenious ways that will make every meal look unique and appetizing, the Paderno World Cuisine A498280 is the tool that shouldn’t miss from your kitchen. 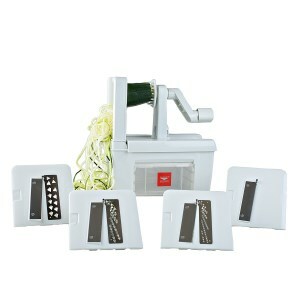 This vegetable cutter features four different blades, a straight blade to create ribbons & accordion cuts and three julienne blades designed to create zucchini noodles and vegetable strands. The high-quality impact-resistant ABS plastic construction will ensure the longevity of this product. Assembling this tool is an easy and fast process, and once you are done using it, cleaning is just as easy, you can place it in the dishwasher or just wash it by hand under warm water. Grow your very own nutritious and highly delicious sprouting seeds with this germination kit. The Gardens Alive 3137 is designed to be easy to use, and the multi-tiered designs mean that you will have more space to cultivate the seeds that you love so much. Depending on the seeds that you grow you should have your first yield ready to eat in around 2 to 7 days. 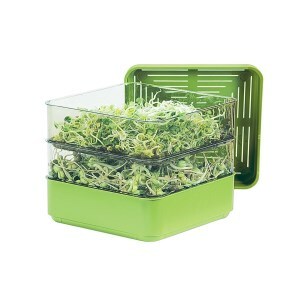 The two-tiered design will also allow you to sprout different types of seeds at the same time so that you get a delicious mix of flavors and great looking textures. Did you ever wish you could make your own home-made, delicious, and organic yogurt? 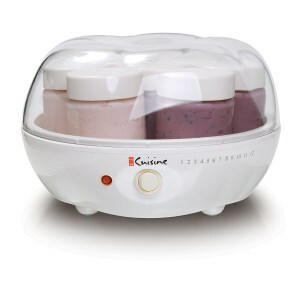 The Euro Cuisine YM80 is a yogurt maker that will save you a lot of money and help you create and experiment with your own yogurt recipes, as well as try some the numerous ones available online. Apart from them yogurt maker itself, you will also get seven 6oz glass containers which will allow you to prepare up to seven different flavors at once. 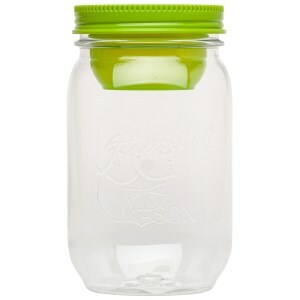 The glass jars are dishwasher safe for fast cleaning. Once the glasses are filled, the timer on the side will mark the time until the yogurt has finished cooking. Aquatic life is one of the most diverse and mysterious on our planet, and there is so little that we know about it. 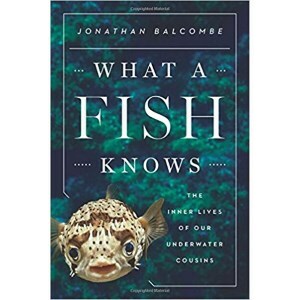 What a Fish Knows: The Inner Lives of Our Underwater Cousins by Jonathan Balcombe seeks to illuminate a bit of the mystery and show us the secret life of fish, their social behavior, and how they often put their brain at work to solve problems. For people that are fascinated with fish or animals in general, this books is a must-read as Jonathan Balcombe has managed to provide a comprehensive study that is easy-to-read and extremely educational. 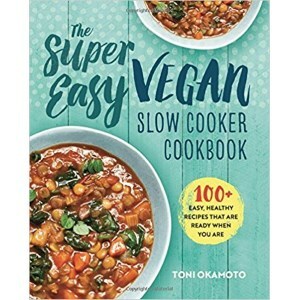 If you’re looking for a resource from which to learn how to cook vegan dishes, The Super Easy Vegan Slow Cooker Cookbook by Toni Okamoto is a cookbook that is aimed at people with no cooking experience. The 100+ recipes are presented in an easy to read way with instructions that can be grasped by anyone. To make things even better, most meals in this book will only require 15 minutes of active prep time. This means that you will get delicious, healthy, and nutritious meals with minimum prepping time. As you may have noticed, some of your friends are either going through a radical change in diet or have already done that. Convinced they would be better off if they became vegans, they replaced bacon with broccoli and gave up cheese for soy milk. While the main change is obvious in your friends’ food choice, this lifestyle also transforms their wardrobe and some of their habits. Vegans give up on all animal products, so leather jackets and shoes or bracelets will disappear from their homes. Even honey-based creams and usual chocolate cookies will eventually vanish. That’s why choosing unique vegan gifts is a bit of a challenge. You’ll have to find a way to avoid all products that involve animal exploitation in any manner and come up with something that is in tune with their new way of life. You must take the time to find out what their new vegan style means in terms of hobbies and what sort of products they find appealing. We gave it some thought, too and have put together a short guide. It will make it easier for you to find your bearings when you go through loads of products. First of all, when buying cool vegan gifts, you should avoid animal products. Spot them and kick them off the list. That’s one key to success. The other is trying to find the best of what the person now enjoys more. Vegans are careful with anything that could harm animals and destroy or unbalance the environment. They are also very dedicated to their health, and most of them consider it a duty to have good meals and some exercise. If you have something to make them even healthier and better looking, it would make a great gift. 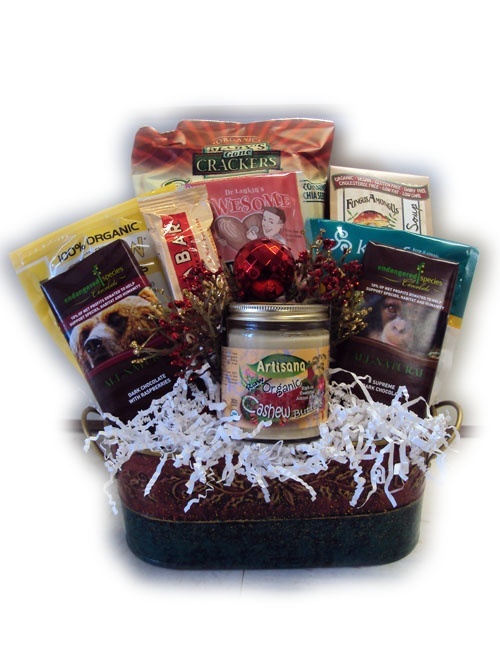 That’s why the best vegan gift baskets also contain some skincare items and organic soap. Some oils, body scrubs and shaving soap, shower gels and perfumes can be added to the list of products that are worth buying. Bath salts with various ingredients are available, for a healthy skin and body butter is also very appreciated. Lip balm or hand cream are amongst the most frequently used during the cold season, so having options is a good thing. The thing is, no matter what you have decided would be better to fill the vegan gift boxes, you have to be certain that the brand and product are genuinely organic and don’t have any substances that are categorized as dangerous for the environment or extracted by disregarding the potential harm it could bring to plants and animals. Most of your eco-friendly contacts have a constant preoccupation for anything that is in the kitchen. Since they have to be very careful with anything they eat and still have enough nutrients in the food, they will roam the kitchen with more passion. Try to surprise your friends by offering them some recipe books that are exclusively for vegans. There is a large variety of ingredients and lots of innovative ways of mixing them together for some really delicious results. The more they will learn about it, the better your chances to enjoy some fabulous vegan cooking, too, whenever you’re invited. While some of the recipes are easy to learn, others are more complex, so a recipe journal working as an organizer is very helpful. You’ll find cooking journals and books that allow the user to combine and sort meals to their liking. You could also give them a helping hand by providing them with new resources. Buying some appliances that are very useful for frequent use or specially created for preparing vegetables is something nice. 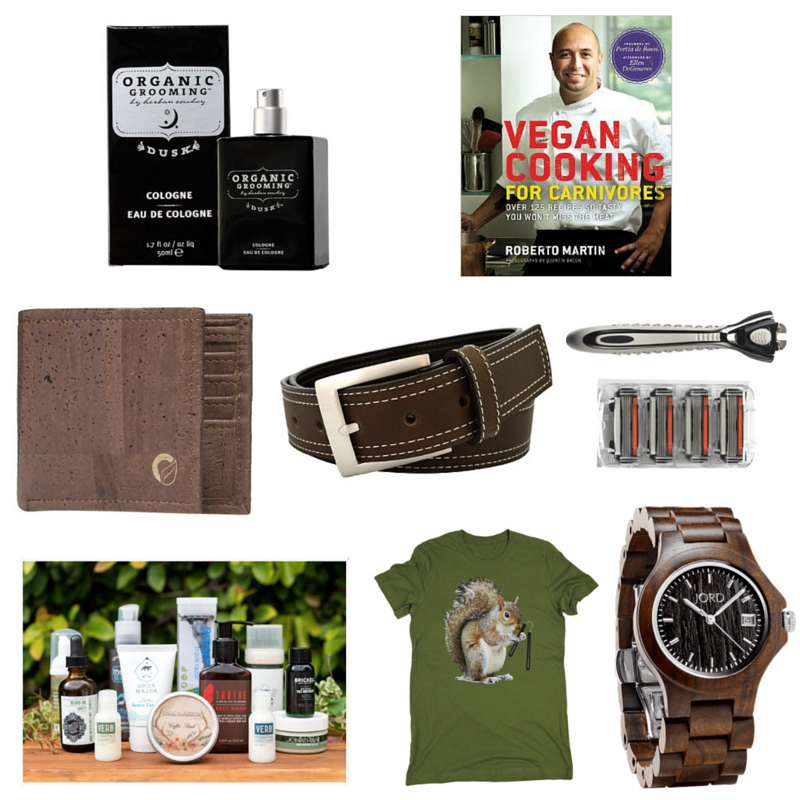 This sort of products also qualifies as the best vegan Christmas gifts. Blenders, special grates or vegetable spiralizers, kitchen scales, a mortar, and pestle are some of the items you could think of, next to peelers, presses, and mini choppers. Some vegans like to turn into real chefs, and they need their own fresh herbs in the kitchen. Spice racks, a cool box of vegetable seeds, a seed sprouter or indoor herb garden are really great gifts that vegans will receive with enthusiasm and filled with joyful anticipation. Giving up on all leather products is a challenge. When they make the decision to become vegans, not all people are aware of the number of leather products they have gathered over the years. Soon, a part of their dresser would be empty and the replacements would come with a slow pace. The first things that become impossible to wear in case you keep to your word are the bags and purses, then the leather jackets and the leather shoes disappear, too. But if you want to make your friends happier and help them out, this is the perfect opportunity. New vegan leather purses, bags, and wallets will be very well received, while vegan T-shirts with all funny and meaningful printed statements are a good way to celebrate the renewal of casual wear. If you know the size and style that you friend prefers, then you can bring him a pair of fake leather shoes, comfortable and affordable. Lifestyle is very often noticeable in the way people arrange and adorn their houses or in the small things they wear. So if you want to offer even more interesting gifts to your vegan loved ones, think about the small stuff that makes a warm welcome home. Soy candles, scented or unscented, simple or jarred, are one of the items you should purchase. They will spread soft light and warm scents into the air and give a serene feeling to the surroundings. You can also choose some funny or rustic looking pillows for comfort, prints with witty quotes, wreaths, and others. Bracelets and necklaces with powerful words and cute animals to remind everyone of our friendship with other earthlings are a sure bet and a gift to remember. They are reasonably priced and come in nice packs, so you should always consider them.